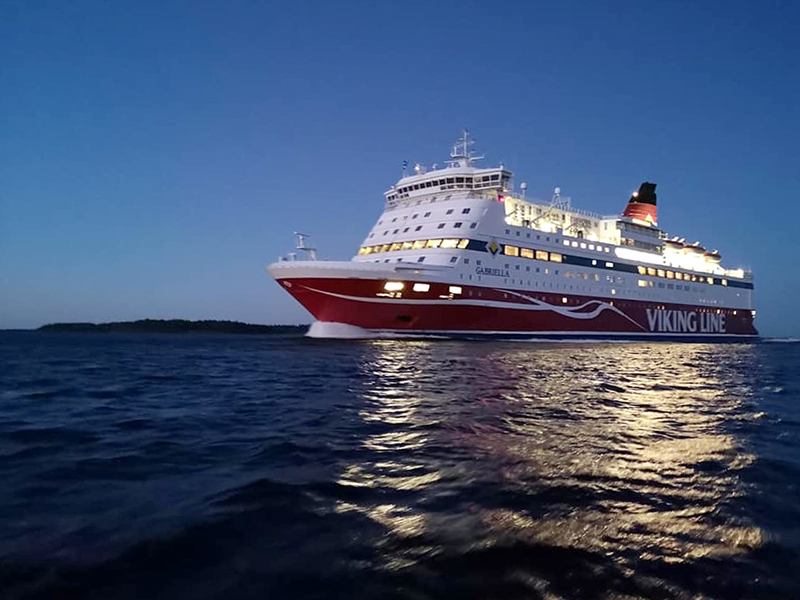 This impressive night picture of GABRIELLA was sent in by Jörgen Pettersson from Åland. Thank you! Next photos, below, were taken by myself earlier this week in Norway, when doing a cruise (for professional reasons) in the Hardangerfjord, Geirangerfjord and Nordfjord. It is always good to be reminded how essential ferry transport is in this country with a challenging geography. 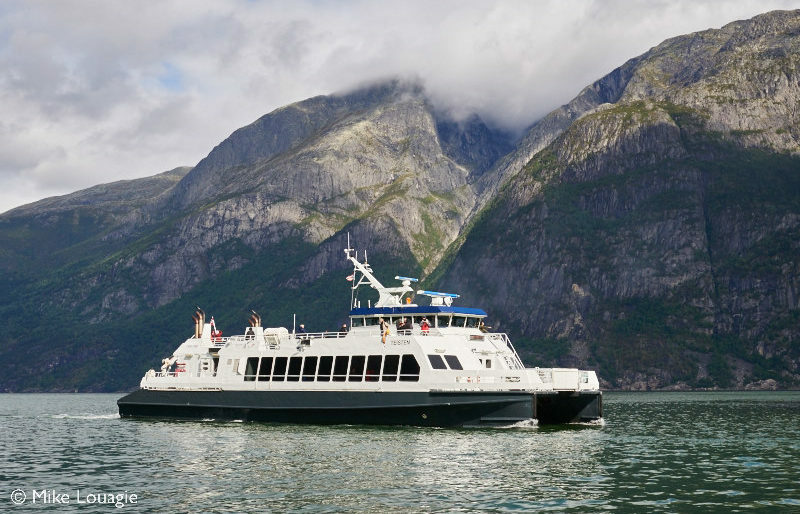 Norled’s fast ferry TEISTEN arrives in Eidfjord on Sunday 26 August. 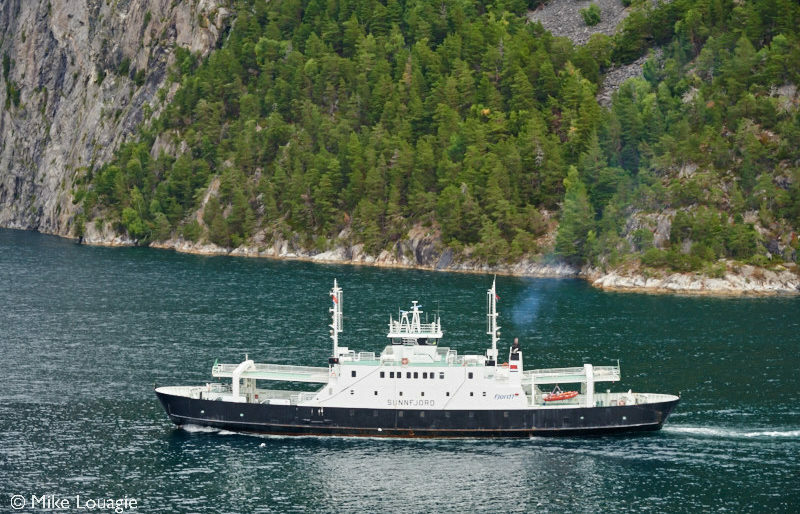 Another Norled vessel is the GLOPPEN, operating on the Tørvikbygd – Jondal route in the Hardangerfjord. Fjord1’s SUNNFJORD’s territory is the Storfjord, the fjord which leads to the famous Geirangerfjord. 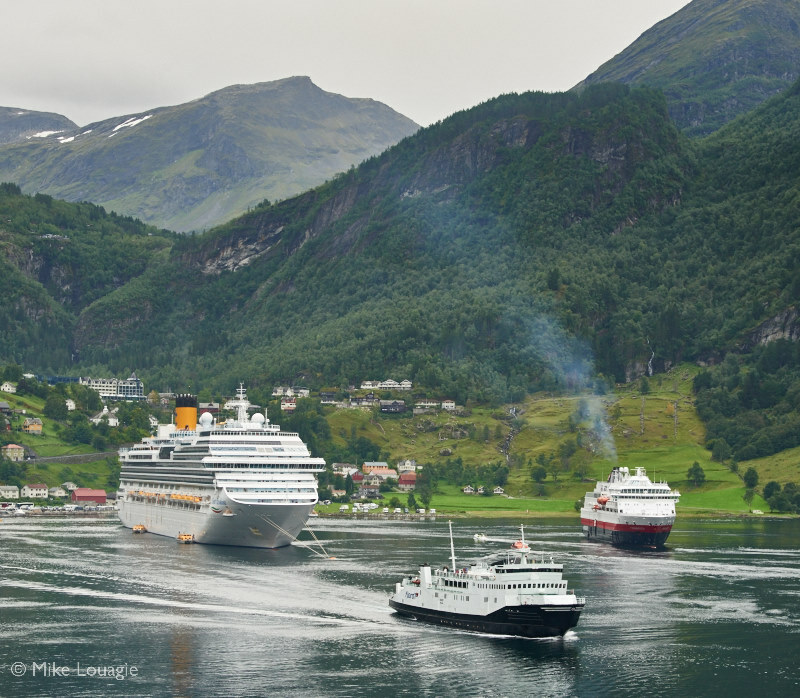 Geiranger was still on summer modus with two cruise ships and lots of tourists. 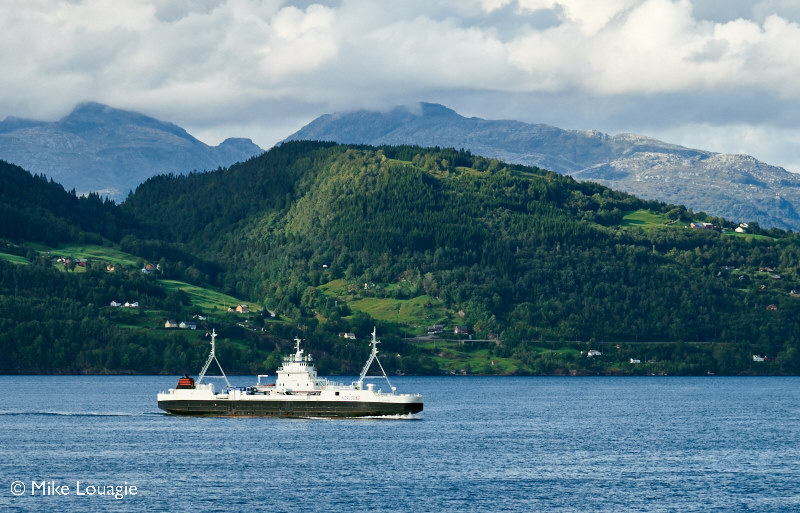 Fjord1’s VEØY and Hurtigruten’s FINNMARKEN are being dwarfed by COSTA FAVOLOSA. Or should I say by the mountains? The night of Tuesday 28 August brought some spectacular, threatening cloud formations. The ferries, they continued to operate. 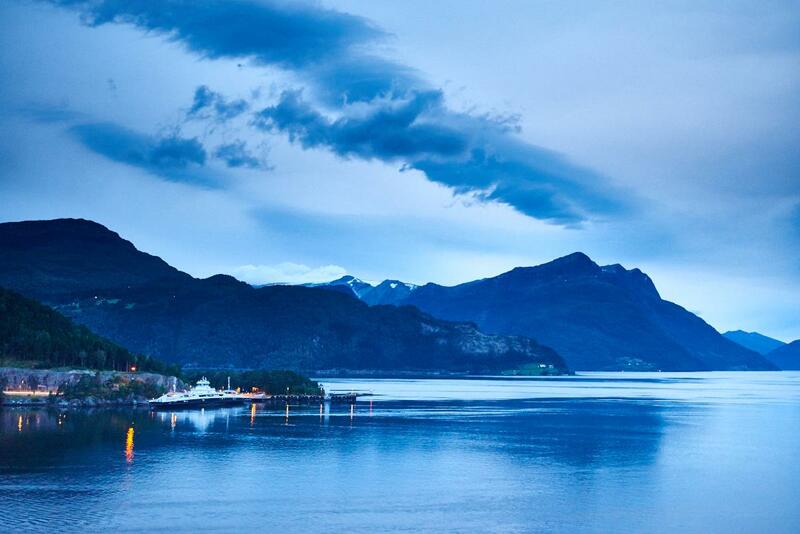 This picture shows EIDFJORD, one of the two ferries from the Anda – Lote route, in the Nordfjord.